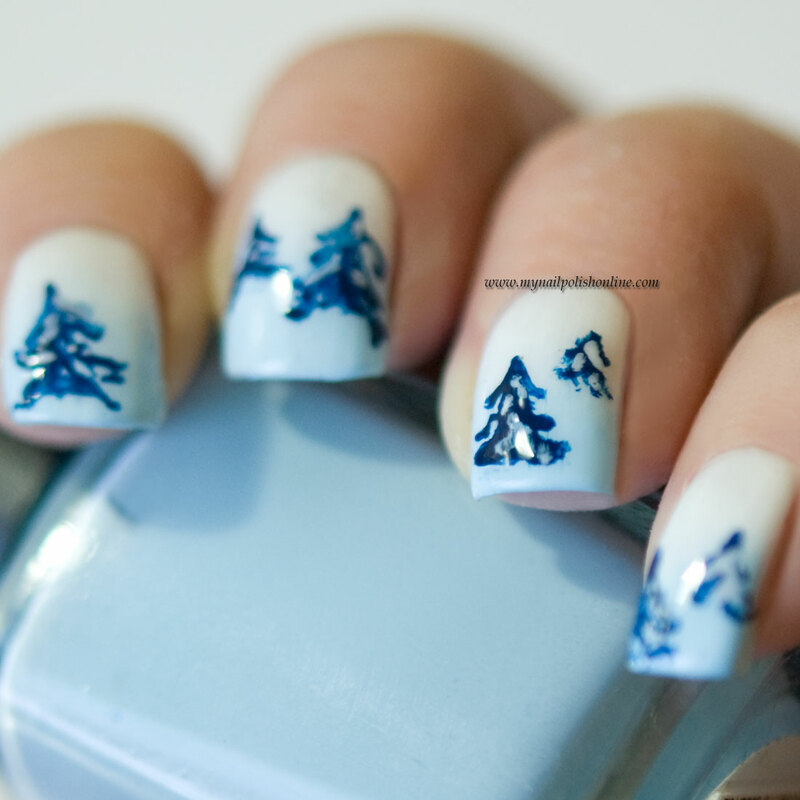 I chose a white to light blue background for today’s Winter Trees Nail Art. I tried to paint those snow white days with lots of snow and lots of blue-ish light reflecting into the snow. The background is done with Nordic Cap NP13 (white) and Color Club Take Me To Your Chateau (light blue). For the actual trees I’ve used a dark blue from OPI called I Saw.. You Saw… We Saw… Warsaw and a very thin nail art brush. Oh how precious this nail art! !